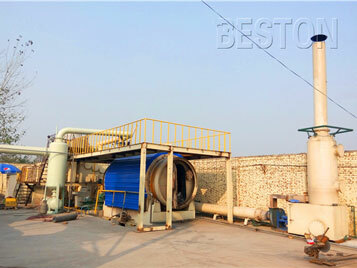 Waste plastic pyrolysis plant is a kind of machine that can dispose of waste plastic into fuel oil. As we all know, waste plastic makes up around 30% of all rubbish collected. This includes plastic bottles, containers, plastic wrap, packaging, electronic goods, car body parts, etc. Because the plastic is slow to degrade, this kind of waste is becoming a serious problem. So, solving the plastic pollution has become the imminent thing and is the primary task for people. The best method to dispose the waste is to turn waste into wealth and recycle the resources. 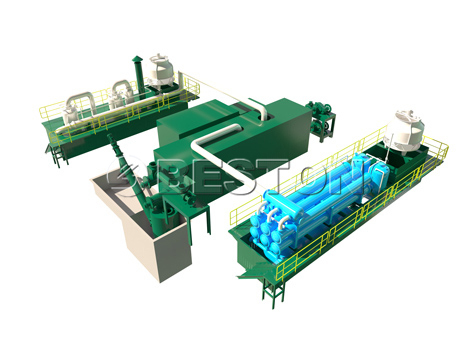 Therefore, plastic pyrolysis plant is a good choice for recycling waste plastic. Our plants have been exported to many countries, such as United Kingdom, South Africa, Uzbekistan, Hungary, Indonesia, Romania, Korea, Turkey, Dominica, Nigeria, Jordan, Netherlands, Brazil, etc. 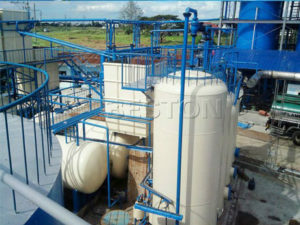 In order to satisfy different customers’ demands, we have designed six models (BLJ-06, BLJ-10, BLJ-16, BLL-20) and three operating pyrolysis systems (batch, semi-continuous and fully continuous waste plastic recycling plant) available for your choice. Moreover, we can also customize the plastic pyrolysis equipment and increase or decrease the device according to you requirement. 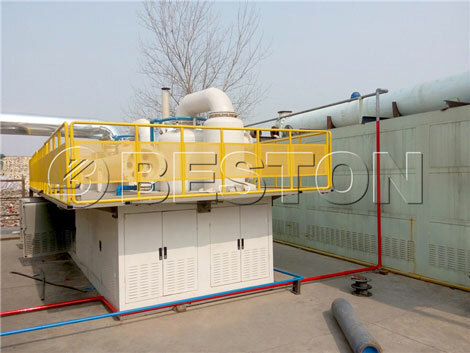 Firstly, the plastic waste pyrolysis plant is equipped with safety device and advanced dedusting system, which will guarantee safety and no pollution in the production. Secondly, in the plastic to fuel conversion process, there is a little combustible gas producing. The gas can be recycled to heat the reactor as fuel, which will save energy for the whole working process. Thirdly, in the dedusting system, three steps are used to dedust the hot smoke from reactor, so more than 95% of the dust would be removed. The released gas is pollution-free and can be discharged in the air directly. We have special methods to improve the oil yield efficiency of the plastic pyrolysis plants. Firstly, compared with the general condensers, our new-type tubular condenser has the features of larger cooling area and better cooling effect, which can can further ensure and improve the oil yield efficiency. Secondly, we can provide you with special catalyst, which can not only improve the flavor and color of the oil, but also accelerate the reaction speed. Thus, waste plastic to fuel conversion plant can increase the average oil output by 5%. 1. 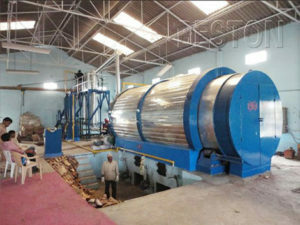 Pre-treatment: generally, if necessary, the plastic pyrolysis plant for sale is equipped with dryer device or crushing machine, which are used to remove the moisture of waste plastic to ensure the quality of final products and crush the large plastic products into small pieces to improve the working efficiency. 2. 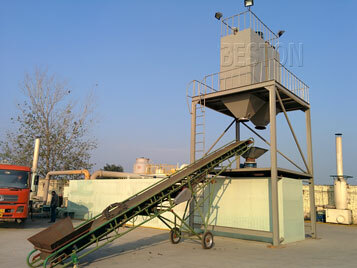 Feeding: Beston waste plastic pyrolysis unit has introduced the screw conveyor to pour plastic waste into reactor; in the conveying process, the feeding system can control the speed of conveyor; we also have air seal machinery that can avoid air entering reactor and guarantee the safety of the whole plastic pyrolysis process. 3. 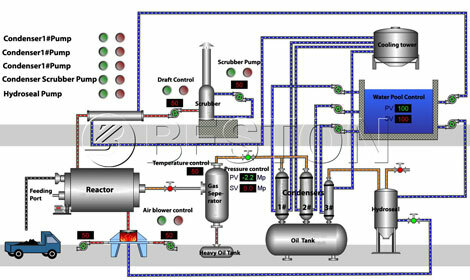 High temperature heating: the machine has used indirect heating system, so the fire will not contract with the reactor directly; the waste plastics will begin pyrolysis reaction with the increasing of temperature, and when it reaches the related temperature, the waste plastic will be converted into oil gas which contains heavy oil and light oil; the heavy oil will be collected by the sludge oil tank; the light oil will raise and enters the next step. 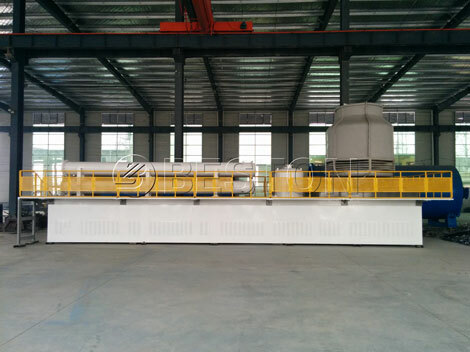 In the whole process, it mainly used the conductivity of hot air to heat the reactor, which can extend the service life of reactor, and on the other view, it is contribute to saving large cost. 4. 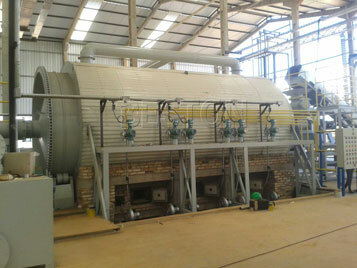 Cooling: it is used to condenser the light oil gas into liquid oil. The condenser system is an important part of the waste plastic pyrolysis system, which can fully cool the oil gas to increase the oil yield. 5. 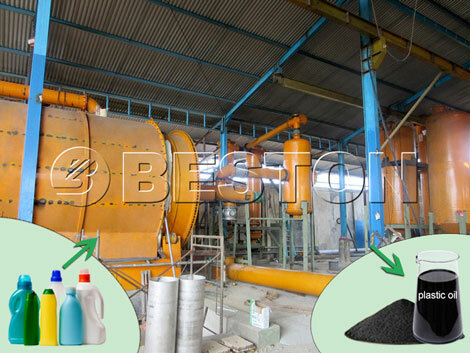 Dedusting: it is also an outstanding characteristic of Beston pyrolysis plant of plastic. Our decusting system has four filters to thoroughly purity the tail gas. By this method, our machines can realize the green production with zero pollution. So its environmental protection effect is also obvious. 6. 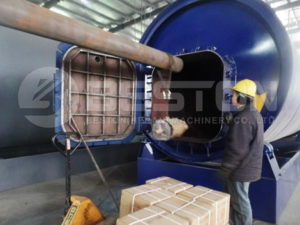 Discharging: Beston pyrolysis equipment has applied the screw conveyor to connect with the bottom of reactor, and the there is a recycling cooling system in the outside of reactor to decrease the temperature of carbon black, which can make sure the operation safety and personal safety of workers. 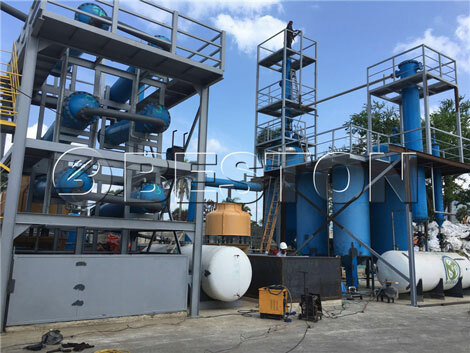 The waste plastic pyrolysis plants take advantage of advanced pyrolysis technology, which can effectively convert plastic to oil through high temperature heating with the special catalyst. After a series of reactions, we can get fuel oil and carbon black, both of which have a wide range of applications. The plastic pyrolysis oil can be used as industrial fuel materials for burning, or further refined to diesel or gasoline by plastic to diesel machine. 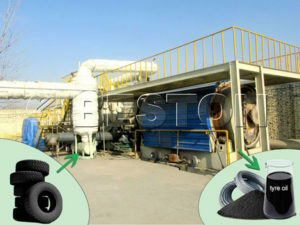 The carbon black can be sold to the brick factory as internal combustion or as raw materials of tire, shoe, cable, etc. They are both in high demand in the market and their prices are very stable, which will surely create great benefits for you. 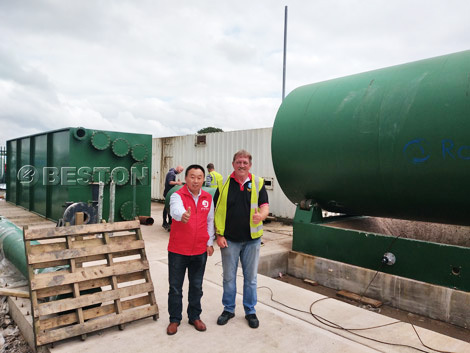 For more than 20 years’ researching, Beston waste plastic pyrolysis plant has won a great reputation in the international market. 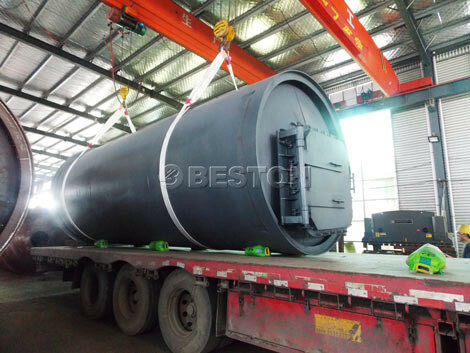 As professional one of plastic pyrolysis plant manufacturers, our pyrolysis machines have been exported to many countries, such as United Kingdom, South Africa, Uzbekistan, Hungary, Indonesia, Romania, Korea, Turkey, Dominica, Nigeria, Jordan, Netherlands, Brazil, etc. All of these successful cases have proved the excellent prospect of waste plastic pyrolysis project. Here you can see the working process video of Dominica.